Ardath M. Cade Scholarship Announces First Recipient! - Arundel Community Development Services, Inc.
You are here: Home / News / Ardath M. Cade Scholarship Announces First Recipient! 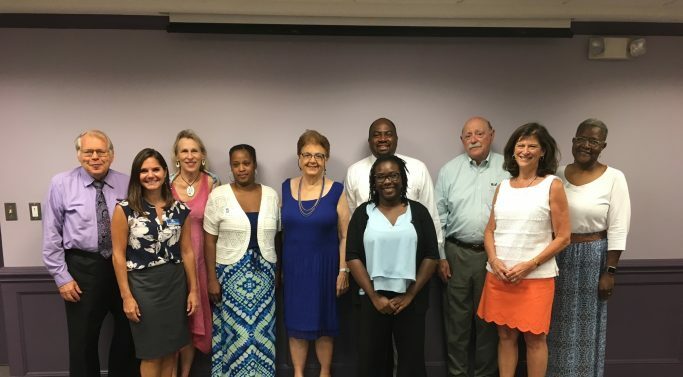 The AMC Scholarship Fund supports professional development for ACDS staff, Board members and leaders and emerging leaders in the communities we serve. If you are interested in applying for these funds, download and complete the Scholarship Application CY 2018. Applications will be accepted on a rolling basis and reviewed as needed. Ardath M. Cade is a champion of affordable housing and community development, both throughout the State and here in Anne Arundel County. It was during her tenure as a county official that she helped launch the creation of ACDS. Thanks to Ardath’s vision, ACDS became more than just a privatized government agency, but a force for affordable housing and community development in Anne Arundel County. ACDS builds strong individuals, proud families and vibrant communities. The Ardath M. Cade Scholarship Fund will help to grow new and emerging leaders at ACDS and in the housing and community development industry. Click here to donate today. All donations are tax deductible.